Joshua Holder is the owner of Time Warp Vintage Boutique, the largest vintage clothing store in Louisiana. Joshua Holder discovered his self confidence in a thrift store. As a teenager during the ’90s, he struggled with his sense of style. He couldn’t get into the grunge look that was popular at the time, preferring to spend his days studying high fashion in magazines like GQ and Vogue. But after trying on some ’70s pieces in a thrift store, he was hooked. He started buying vintage pieces and mixed them with contemporary styles to create his own unique look. Distressed denim and colorful garments are staples at Time Warp, Holder says. Nearly two decades have passed since he first tried on those ’70s pieces, but Holder’s feelings about vintage clothing haven’t changed. Only now, he styles not only himself but also the hundreds of shoppers coming through his store daily. 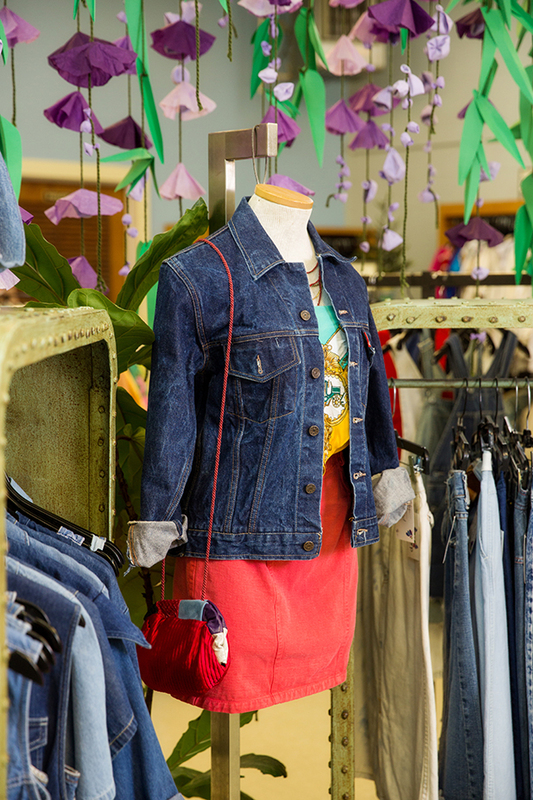 At Time Warp Vintage Boutique, upbeat electronic music blares from the speakers. A selection of organic soaps, candles and incense emits a calming scent near the entrance. Racks of clothing span the decades, from ’30s evening wear to ’90s printed tops. Each garment is uniquely labeled with a handwritten tag. Shoppers flock to Time Warp for both the selection and this aesthetic. Since opening in 2000, the store has quadrupled in size. It started at 750 square feet and eventually grew to 3,200, making it the largest vintage clothing store in Louisiana, Holder says. 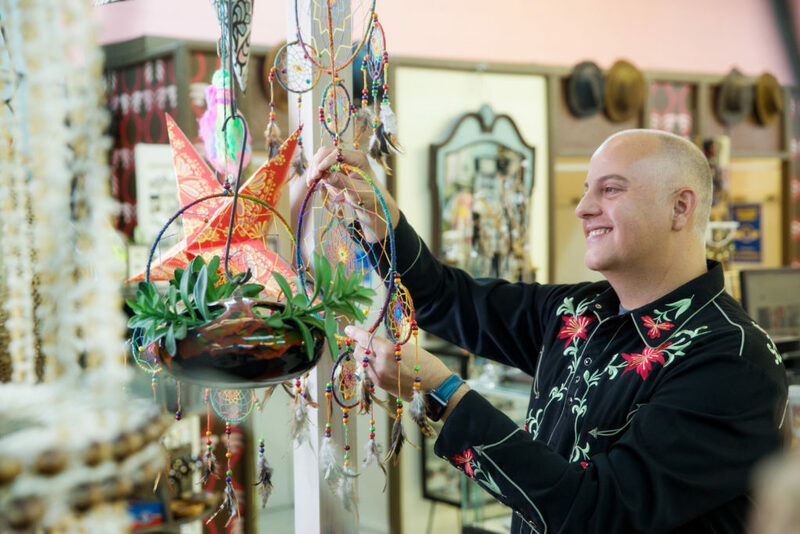 As business continues to grow for the 17-year-old shop, Holder says for him, Time Warp is more than a business—it is a movement. Time Warp receives shipments of nearly 1,800 new vintage garments every two weeks. Now 42, Holder prides himself on his store’s “old-school” customer service. Instead of having customers browse the store and try clothes on without assistance, his staff engages with the customers and encourages them to try new things. It’s not unusual for him to meet a shopper and start pulling clothes from the racks specifically for that person. Vintage sizing can be challenging, but not for Holder. With just a glance, he can determine what garments will fit the shopper. 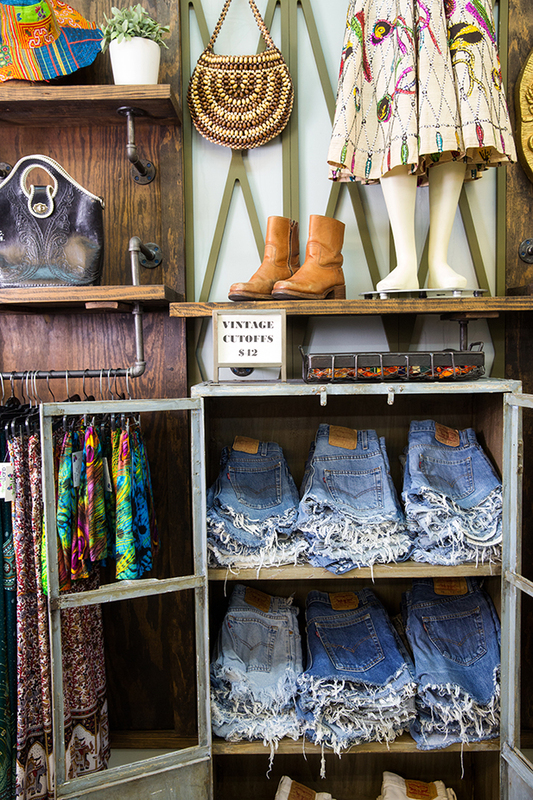 From ’80s prom dresses to tapestries and carpets, Time Warp houses hand-picked vintage goods from across the country. Using mood boards and trend-watching, Holder strategizes with his small team of traveling vintage enthusiasts to source the original garments that today’s trends were born from. Every two weeks, nearly 1,800 vintage pieces are shipped to the boutique. After Holder receives the shipment, he and his team sort through the clothes and begin their process of cleaning, steaming and mending. While some garments take days, some take weeks of care before they are ready to be sold. Based on seasonal trends, Holder determines which garments to include on the floor or hold in storage. As Time Warp’s inventory expands, he plans to add more goods to his home section and make more garments available for online purchasing. This article was originally published in the September 2017 issue of 225 Magazine.